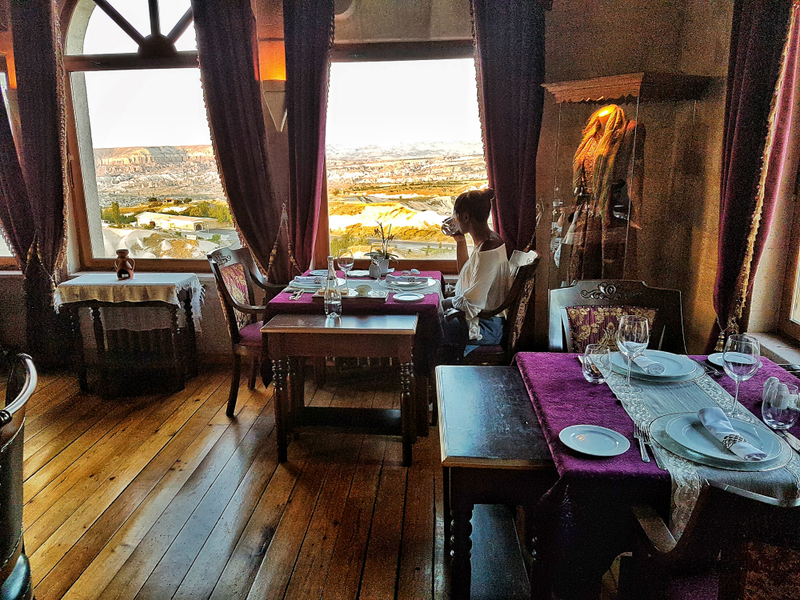 After a long and tiring day of travel to Cappadocia we were relieved to have arrived at Hermes cave hotel. extra special luxury suite at hermes cave hotel. My husband J had no idea just how amazing our suite would be as he had seen no pictures beforehand. 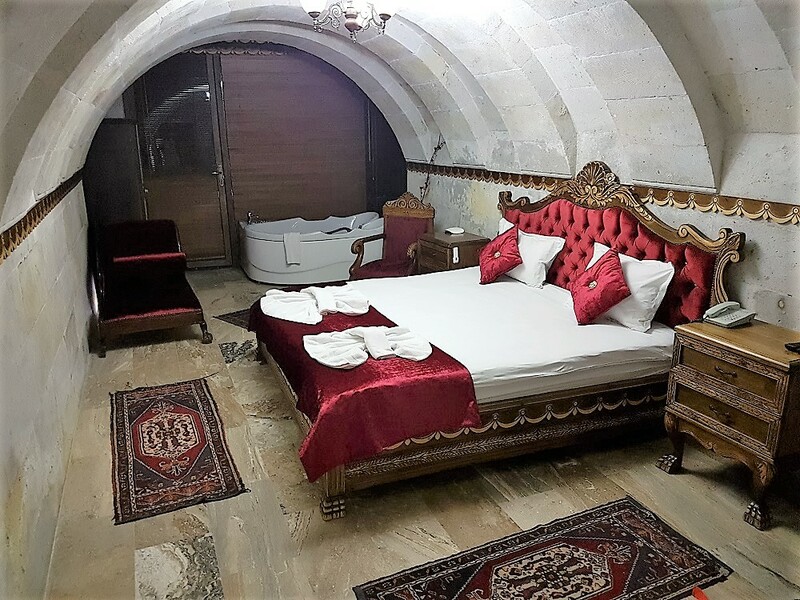 Our deluxe suite featured beautiful arched ceilings, shiny marble floors and a private balcony overlooking Uchisar castle. Uchisar castle is the highest peak in the whole of Cappadocia. A gorgeous scent filled the luxury Hermes cave hotel suite thanks to fragranced oils. The bed in the Hermes cave hotel deluxe suite was a large king size with good quality pillows. 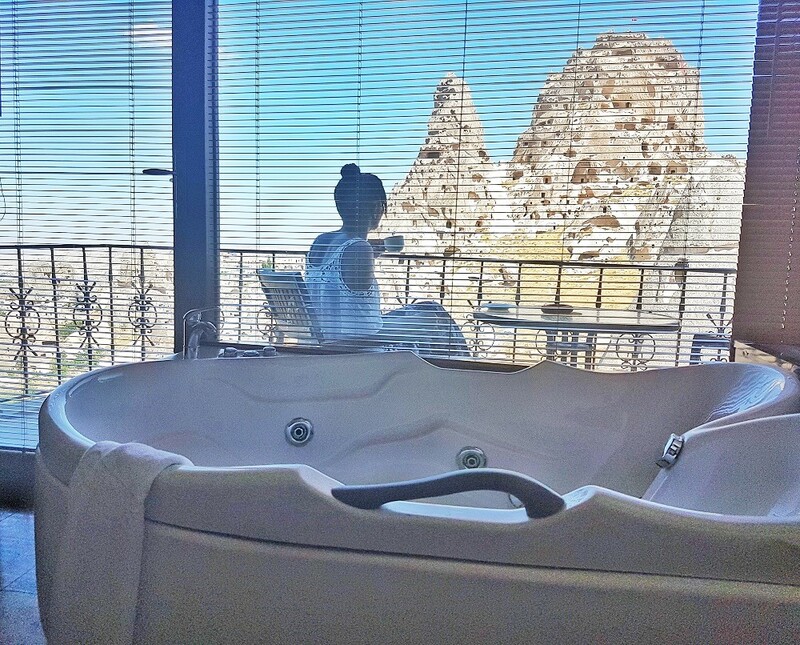 A hot tub for two onlooked the amazing Uchisar castle. Bathrobes were provided with a mini toiletry box containing a pumice stone and soap. But wait there's more..a private balcony awaits you behind floor to ceiling windows and remote control operated blinds. From the outside the glass is mirrored so no one can see you talking a dip in the hermes cave luxury suite private jacuzzi. The luxury suite at Hermes cave hotel has a regal theme of red velvet running throughout. With a padded red velvet headboard, matching cushions and runner. A red velvet chez lounge and chair are also included in this stunning suite. The furniture featured beautiful wooden carvings. Even the Tv was framed in wood. The luxury Hermes cave hotel suite bathroom features a small walk in shower and complimentary shower gels, soaps, shampoos and slippers. Complimentary tea is available in the suite with complimentary breakfast downstairs each morning. Hermes cave hotel were even kind enough to provide us with some complimentary dinner the first night we arrived. The luxury suite at Hermes cave hotel is a bit of an undiscovered find and at a very reasonable price. Perfect for those on a budget who still long for romance, luxury and wow factor. Breakfast each morning is hearty with fresh locally grown fruit. Real honeycomb, soft breads, pastries and the optional omlette. The friendly hotel manager gave us maps of the local area and information on things to do in Cappadocia which was helpful. 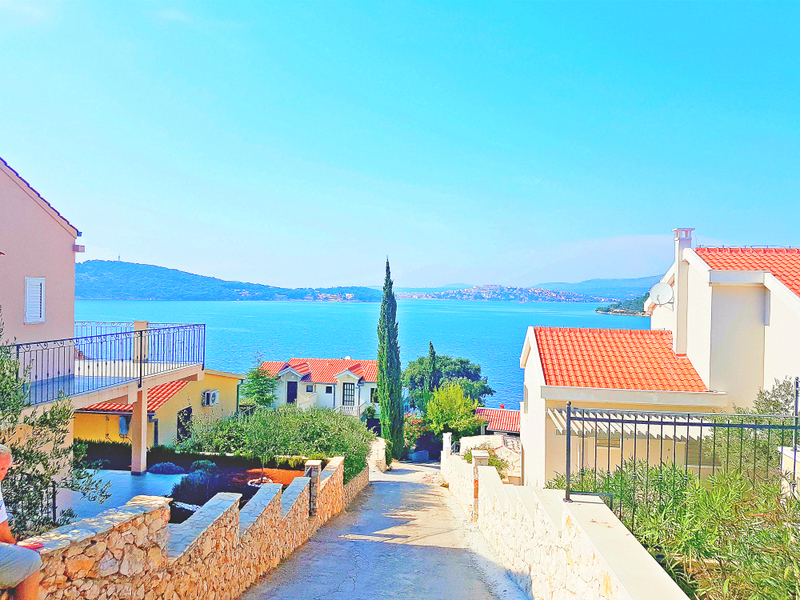 Hermes cave hotel is situated within walking distance of local shops and the locals were very friendly. 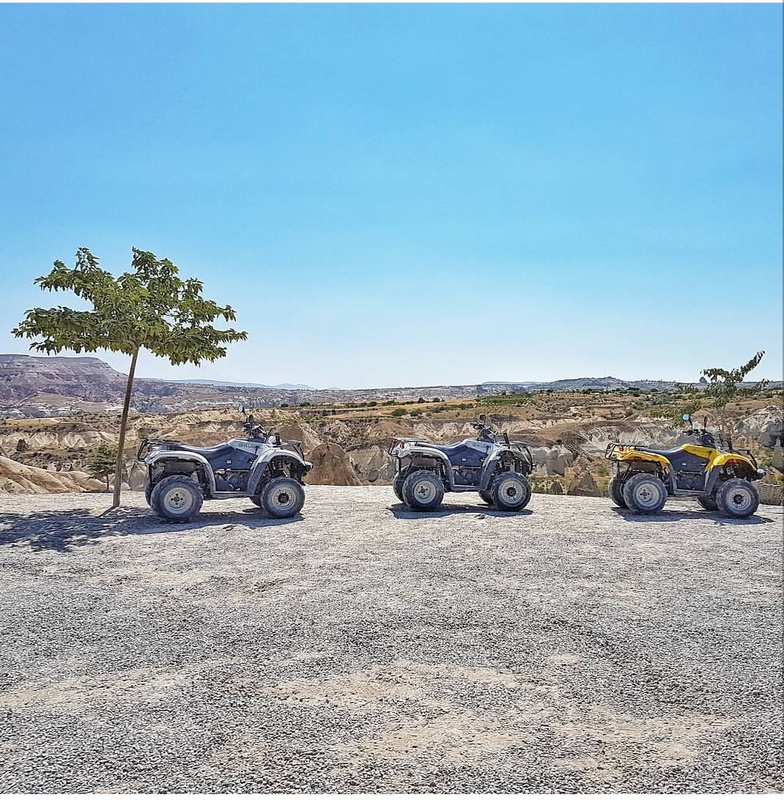 Sat on our private balcony basking in the sun, we noticed turtles below and even spotted a bride and groom taking pictures against the amazing backdrop of Uchisar castle and the other rock formations. 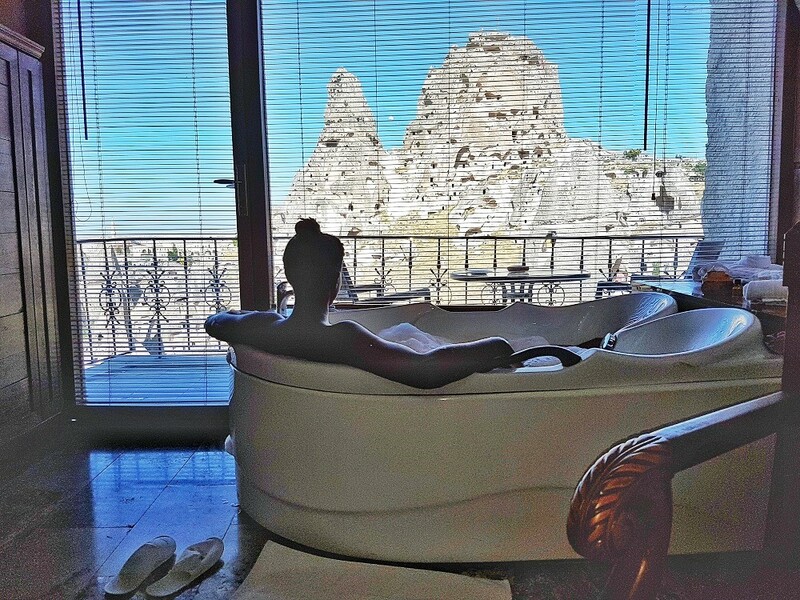 I highly recommend this cave hotel - especially the deluxe suite to couples traveling to Cappadocia. Found this cave hotel review useful? Subscribe to www.GoneSunWhere.com for more travel inspiration.